Hey Guys..!! How are you all feeling letting a very interesting year go..? Nostalgic, is it? Every year we feel the same. However, 2016 has been a great year for us, video streamers. It has given us a lot to experiment and hope for in the next year to come. We’ve seen big announcements from the giants and many tech experiments taking place in the streaming world and have also seen many new platforms and devices and services launch. As we bid adieu to this eventful year, let’s look back and have a quick recap of the 10 biggest trending announcements from the world of Video Streaming! Take a look in 360 view of the biggest announcements of 2016 from the Video Streaming world. As the year was about to end, we’ve heard the biggest SVOD provider Amazon Instant Video going global and reaching over 200 countries, providing Netflix a very tough competition. Earlier in the year, Netflix has also expanded its reach in some 180 countries growing from around 50, worldwide. The giants also seemed to be going local in many countries & territories including Netflix’s fully local entry in Poland and Turkey and Netflix and Amazon’s tie ups with many Indian broadcasters before launch. Netflix finally announced the much awaited downloading feature allowing its OTT subscribers to finally download their favorite programming and watch it later offline at their comforts. Netflix viewers have for so long been waiting for its offline feature and with this announcement the company seemed to have made it through viewers’ hearts. 2016 has also been the year of 4K boom. We’ve seen many announcements in the 4K streaming space and one of the biggest among them was Roku launching as many as 5 HDR devices capable of streaming content in high definition 4K, starting with an unbelievable cost of as less as $30. Roku certainly made HDR streaming affordable this year. Just as there were talks around Roku launching 4K streamers at unbelievable cost, Google came up with its big event and stole the entire show. With the big event, Google made some very big announcements shaking the world of streaming including the most talked 4K Chromecast Ultra at a low price of $69, the Siri compatible Google Home speakers, and the most discussed Daydream VR headset along with the Pixel & Pixel XL phones. Live Video Streaming has been the greatest talk of the year. Credit Suisse estimated the live streaming industry in 2016 to have grown by 175% over the past one year. From Facebook and Twitter allowing live streaming segments to pushing live videos up in user’s feeds and Instagram testing on live streaming, live has been the biggest streaming buzz of 2016. 2016 has been a great year for new video formats and technologies to emerge and gain popularity. We’ve seen brands experimenting with 360 degree video formats and finally Facebook allowing live streaming in a 360 degree format, making it an everyman’s job. 360 became the hot video format of 2016 and we hope it remains same in the year coming ahead. Apple has always stood out against competition and technology. This year, the tech giant launched a new streaming app named ‘TV’ that provided a unified approach to streamers and made streaming easy by providing them a comprehensive guide to the most watched shows and movies. Apple seemed to be proving true to it’s saying -“The future of TV is Apps”. 2016 has also been a great year for live sports. Most of the big games were live streamed on multiple platforms on a grand scale. Rio Olympics live streaming topped 1 billion minutes this year. Some 55 million LATAM viewers watched Olympics on smartphone and the viewing in fact left behind Netflix’s viewing during the Olympics opening week broadcast. Not just Olympics, but many other games like the NFL Super Bowl were streamed live online and have also scored massive viewership. Because of the sports streaming fever this year, brands like Amazon have already started signing deals for streaming major sporting events live on their platforms. Twitter has all been about live streaming this year. From launching its own live feature without Periscope to signing deals with NHL, MLB and the NFL to live stream sports and to stream US presidential debate between Hillary Clinton and Donald Trump. The social media giant has been in news for taking a streaming route and covering many major events live on its platform. AR & VR have been the biggest tech talks around each corner of the year. We’ve seen the Pokemon Go hype and many brands experimenting with Augmented Reality. We’ve also seen Google daydream, PlayStation VR, Samsung Gear VR, and the Fox Sports VR App bringing Live Sports Streaming in VR and Nokia and Sony teaming up to bring 3D 360 immersive VR in this year. We’ve also seen brands creating content and trying out video streaming possibilities in AR, VR and 360 technologies. 2016 certainly gave a potential ground to these technologies. Download our Info-graphic – A look-back at 2016 in the world of Video Streaming. 2016 has seen more of launches and upwards trends in the video streaming space. We’ve seen original content taking up and SVOD platforms winning Emmy’s. We’ve also seen Platforms like Netflix crossing 2 million subs backed by their originals. SVOD homes increased, and the viewers shifted towards using more of smart TVs. The year has also seen many connected devices emerge and take up on streaming. The forecast is for OTT Video revenues to pass $50 Billion by 2017. And as we end this glistening year with enthusiasm, we hope for the next year to bring us even more interesting announcements, launches and technologies to play with. 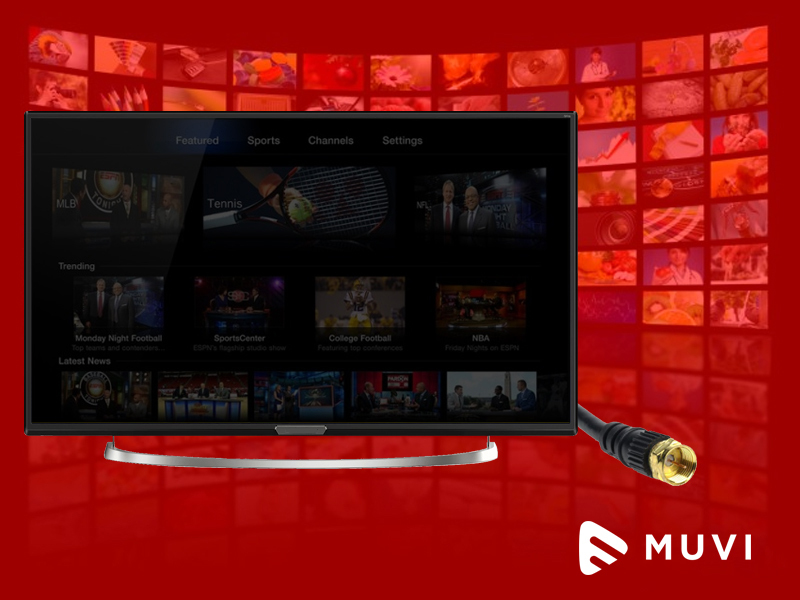 Muvi will keep bringing you latest news in the industry and will keep sharing insights on big events coming ahead in video streaming space. Keep subscribing. Read our latest blog on 5 OTT Trends to watch for in 2017 !! Can cord-cutting and traditional TV co-exist?